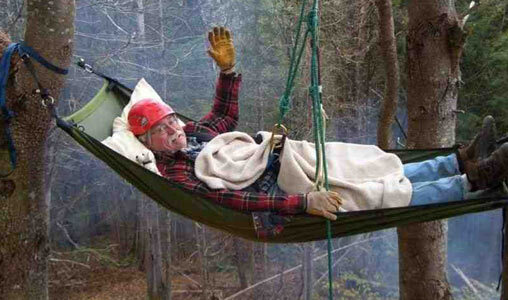 We schedule climbing trips all over New England. All equipment is provided for a truly educational and fun experience. Whether you are an arborist, a landscaper, a homeowner, or recreational enthusiast, our association of training schools can teach you a skill that will benefit you for the rest of your life. 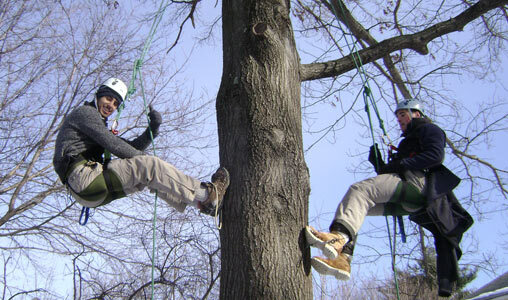 Our instructors teach everyone from tree workers to those climbing for recreational fun. Our successful students have included young teens to seniors. If you can climb a ladder you can climb using a rope. Both the Double Rope Technique (DRT) and the SRT (single Rope Technique) are taught in various classes. 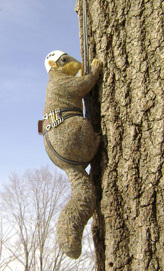 These techniques are used throughout the arborist and recreational industries and allow you to let go at any time and still maintain your position on the rope. All our ropes and equipment are rated for over 6000 LBS. 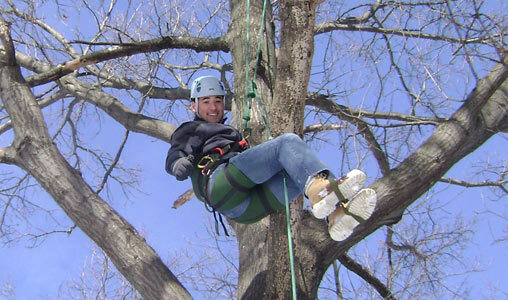 The New England Tree Climbing Association is an Association of trained and certified instructors offering the best and safest tree climbing experience. Classes are available for different interest levels, i.e. 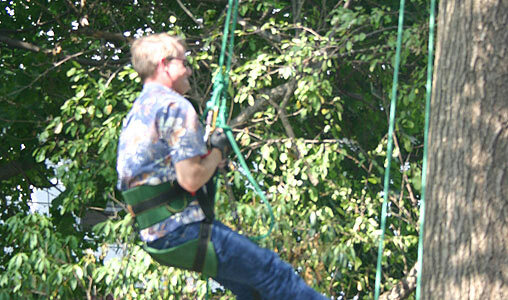 Tree Climbing For Arborists (and landscapers), Recreational Tree Climbing, and Adventure Climbs for those who just want to experience it. Graduates receive certification photo ID cards that grant them discounts from the major equipment suppliers. To “See us on TV. Twin Pines our Vermont location is featured on WCAX news”. Click here to see the video. Jim Tabor, author of Forever On The Mountain climbed with us. Don't miss what he says about the experience on our Vermont page. For contact info and questions visit the state pages. ©2018 New England Tree Climbing. All rights reserved.